Will the Electric Revolution Hit Fleet Management? 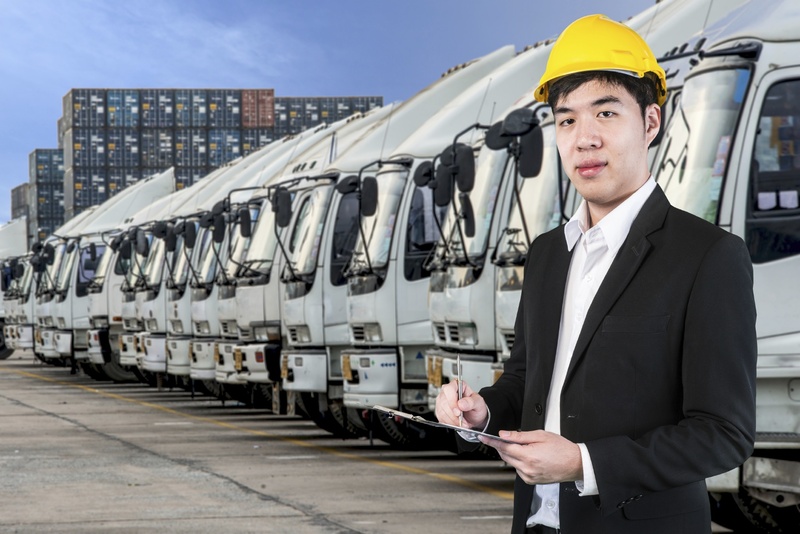 As a fleet manager, it’s your job to take responsibility for your vehicles as well as your employees, especially when it comes to their health and safety. However, a lot of employers fail to discuss how to avoid driving when fatigued. In the UK, driver tiredness accounts for 20% of all accidents, so it is essential that everyone is educated on the risks of fatigued driving. This article will look at the future of the law surrounding drowsy driving, and how fleet managers can reduce the dangers of allowing fatigued drivers on the road. More impetus is being put on fleet managers to start talking about drowsy driving with their employees. Scientists have created a blood test that will enable police to test drivers they suspect of drowsiness. The blood test identifies whether or not someone has missed a full night of sleep by checking a subset of 68 genes. This test currently achieves 92% accuracy at telling if an individual is indeed sleep-deprived. The next step in improving these blood tests will be to invent a test which can identify those who suffer from chronic sleeping problems, making them medically unfit to work as a fleet driver. Employers have a duty of care to ensure that their workers are fit for their work, and in fleet driving, sufficient sleep is paramount to avoiding dangerous and potentially fatal accidents on the roads. We already mentioned that 20% of all accidents are caused by driver fatigue, but you’d probably be surprised to hear that this figure is higher than accidents caused by drug driving, which sits at 18%. Driver fatigue causes serious mental impairments that more people should take seriously, especially those of us in fleet management, where the quality of your drivers reflects the quality of your business. Considering that drug taking causes fewer incidents than drowsy driving, we wonder what kind of sentences the courts might hand out to drowsy fleet drivers and their managers if blood testing for tiredness were to become commonplace. Currently, those caught drug-driving face a minimum of a 12-month driving ban and up to six months in prison, alongside fines and a criminal record. Perhaps tired drivers will face less severe admonishments than drugged drivers, because the act of taking illegal drugs is punishable by law, regardless of how it affects your job. Staying up an extra hour or two for a late night special on TV, on the other hand, is not an act punishable by itself. However, the fact that drowsy driving causes more problems on the road could convince courts to be harsh on the matter, if drivers are found to be fatigued. There are currently no laws in the UK stating that it is an offence to drive while tired, but this could change with the release of this new blood test. In the future, this problem may be circumvented by Connected Vehicle Technology which will pave the way for autonomous driving technology. For now, though, fleet managers should focus on solving sleep issues in their ranks. A good day starts with how you wake up. Get your drivers together and discuss what everyone’s morning routines look like. The best routine is typically one where the individual has time to wake up and adjust to the day, as opposed to dashing off to work still half-asleep. Encourage your workers to get up an hour before they have to leave for work and to enjoy their mornings. This may not be possible for all drivers, as some might have family responsibilities that keep them up later, meaning that they can only just get their required amount of sleep by waking up a bit later and rushing off to work. A small change in their morning routine could bring great benefits to your fleet as well as the drivers’ personal lives. You could also encourage your drivers to drive with their windows open a little. The fresh air entering the driver’s cabin is proven to help combat drowsiness on long drives. Power naps are useful; make sure your drivers know that they are permitted to take power naps to reinvigorate themselves during long shifts. Service stations are a good place to take a short break, your drivers should know when they need to rest, so advise them to take a service station break rather than pushing on and potentially causing an accident. As a fleet manager, it is your responsibility to ensure that your drivers are confident in their ability to take power naps and breaks to stave off accidents. You can encourage awareness on this topic in team meetings which can instigate positive discussion amongst your staff on the matter. This is a chance to discuss the matter properly and answer questions so that you can be sure that everyone truly understands the dangers. You can also keep the dangers of drowsy driving at the front of your drivers’ minds by adding stickers to the dashboards of your vehicles to remind drivers that your company is striving to ‘fight against fatigue’ and encourage power naps. Managing your drivers’ well-being is just as important as keeping track of your fleet’s fuel consumption by using fuel management systems, as accidents will cost you repair fees and harm your fleet’s reputation.